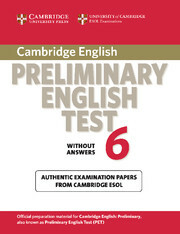 This is the fifth collection of IELTS practice tests from Cambridge ESOL. 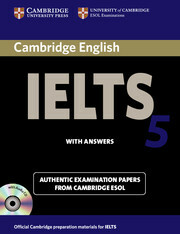 The Student's Book with answers contains four full tests, including both Academic and General modules, as well as an answer key with explanations, model compositions and tapescripts. The pack also contains two audio CDs, which provide all the recorded material required for students to practise the tasks in the Listening papers.